Is it us, or is it starting to get a little chilly? That doesn’t mean you need to stop riding, but it does mean you need to think more carefully about what you wear and how you can keep warm while you’re out on your bike. That’s why we’re giving away a set of Oxford Hotgrips with every subscription to MCN during November. We’ve got four different types of grips available: Adventure, Sports, Touring and Retro, so you’re sure to find a set that works for your bike. 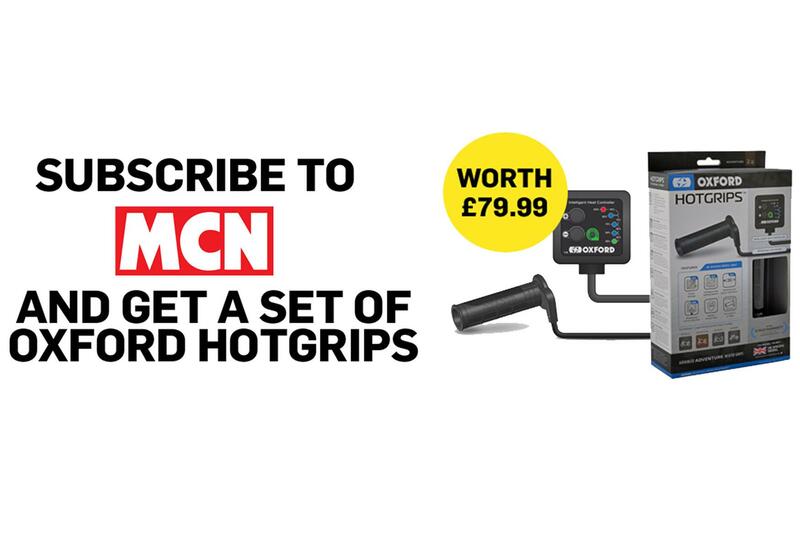 To subscribe to MCN and get your Oxford Hotgrips, click here. The grips have an ergonomically engineered surface, structured to optimise riding performance. They all boast thicker rubber in the areas of maximum wear and varying patterns of tread on different parts of the grip to help absorb vibration while ensuring you get the best level of grip and feel. There are nine different heat settings controlled by a separate control unit, which can be mounted on the handlebars or wherever suits you. There’s a battery saving mode and weatherproof power connectors, to keep out the worst of the British weather. The Hotgrips are simple to install, as demonstrated by our MCN mechanic in the latest volume of handy motorcycle maintenance bible, MCN Fixes on sale in WHS or you can buy it direct from us and get free UK p&p. As well as receiving a set of Hotgrips, by subscribing to MCN you’ll never miss an issue, you’ll benefit from a lower price than buying every issue in the shops and you’ll also get free UK delivery to your door (overseas delivery prices apply) or get a digital subscription and download every issue. You can choose to either pay for your subscription on six-monthly recurring payments of £44.60 or for the whole year in one go for the great price of £85.